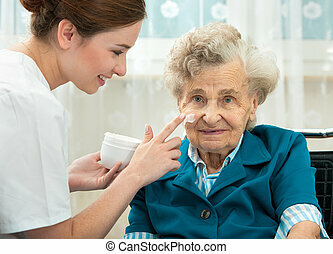 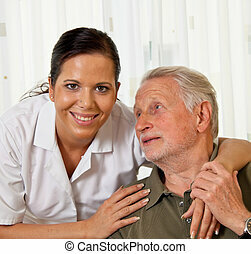 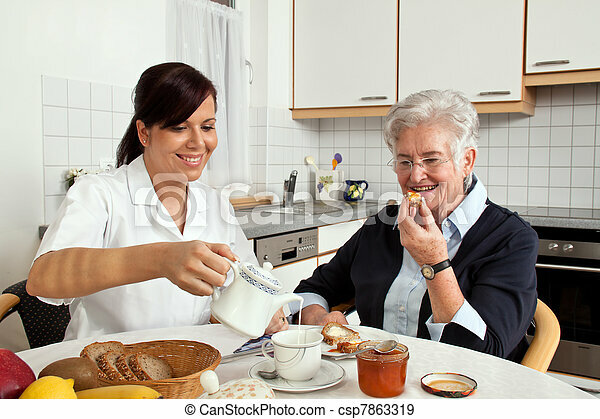 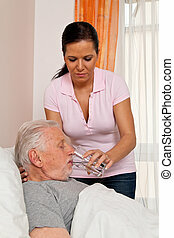 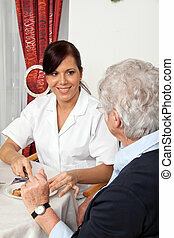 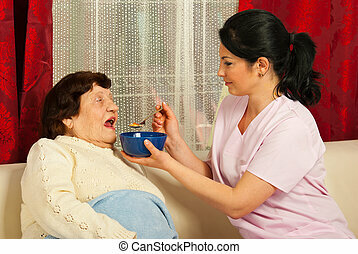 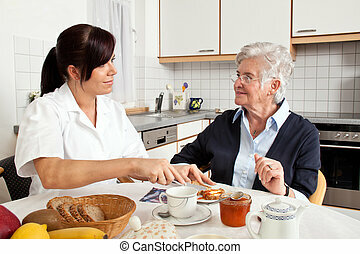 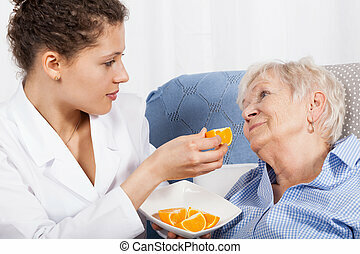 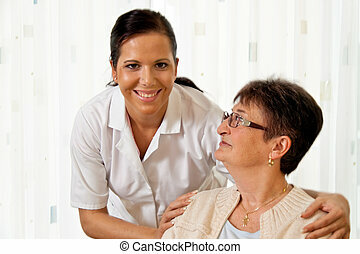 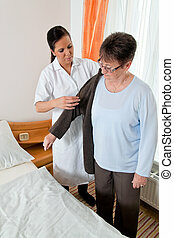 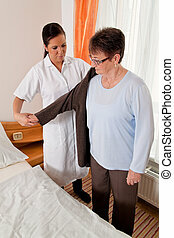 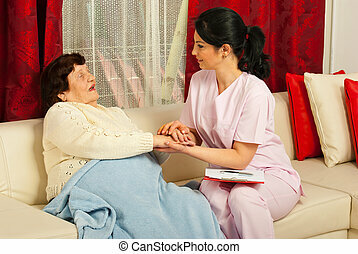 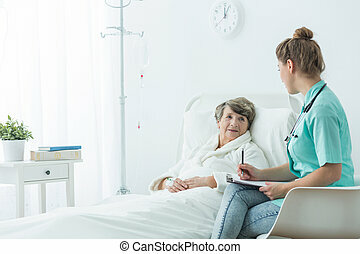 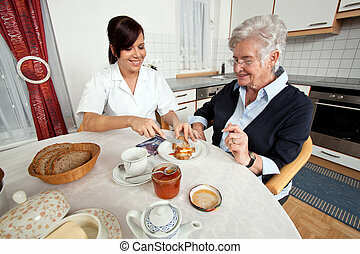 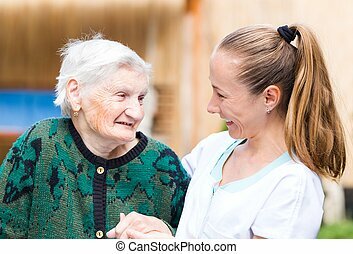 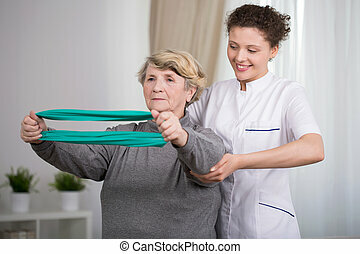 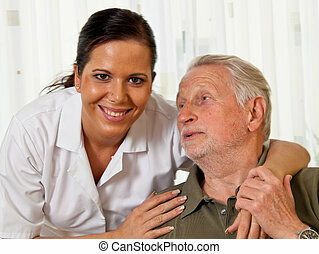 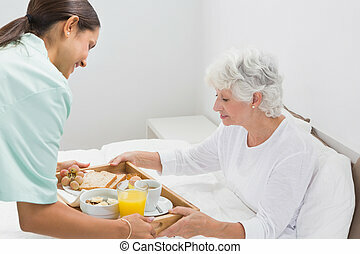 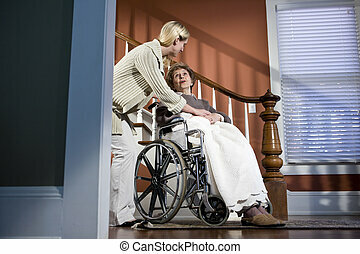 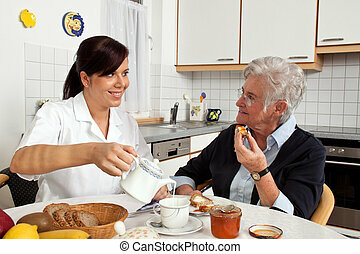 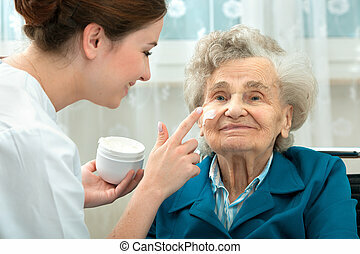 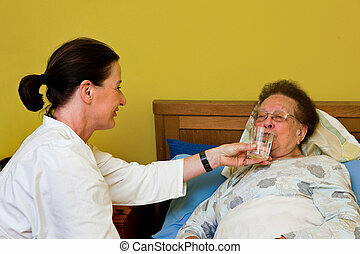 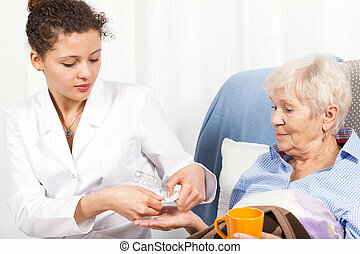 A geriatric nurse helps elderly woman at breakfast. 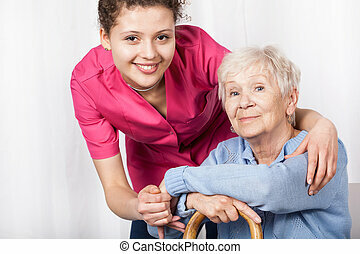 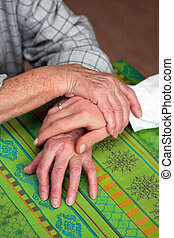 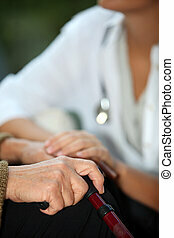 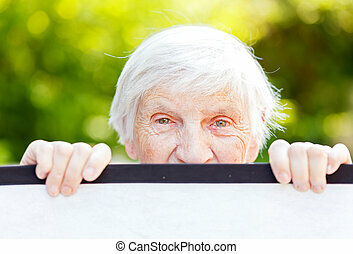 elder care of seniors. 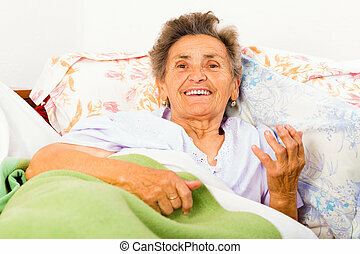 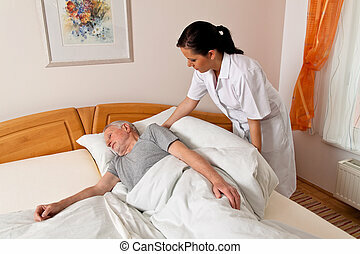 Happy kind elderly woman talking in bed.